We all remember dial-up internet (some people still use it today, or at least have the same speed). 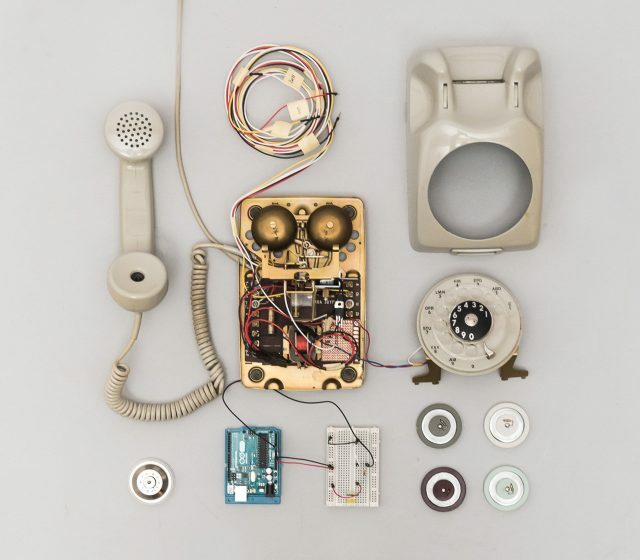 Students James Zhou, Sebastian Paul Hunkeler, Jens Skoug Obel and Isak Frostå from the Copenhagen Institute of Interaction Design have built an “internet phone” using a classic rotary telephone. It allows users to “call” websites, with each number dial inputting the IP address necessary to access said website. A voice then reads the website down the line. A fine mix of sophistication and limited technology. Previous articleInterview: Jer’Maine Jones, Jr.